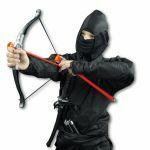 With KarateMart's unique Ninja Archer Costume, you no longer have to worry about your outfit being torn just because you are hiding in the bushes or trees to strike your targets at a distance. 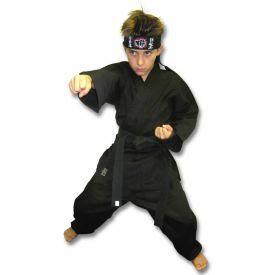 This martial arts costume includes our best-selling six-piece, black ninja gi. 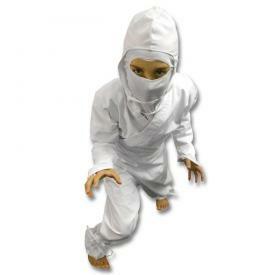 With machine stitching and sturdy material made from a cotton/polyester blend, you'll find yourself amazed at the authentic look and feel of your ninja outfits. 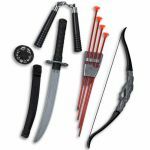 Also included with the uniform is the Ninja Archer Weapon Set, which consists of ten pieces designed with the night warrior in mind. 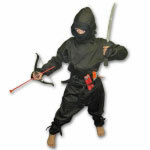 The fully armed ninja will find him or herself equipped for all sorts of ninja missions. 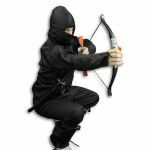 Most important to this set is the plastic bow and accompanying suction cup arrows that stick to your targets without hurting them. 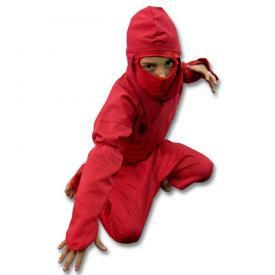 Boys and girls both can get a kick out of this super-awesome costume and parents can rejoice in finally finding a durable ninja costume that won't fall apart after one wear. 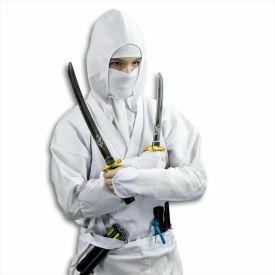 This is great for Halloween, costume parties, and cosplay. Of course, the ninja archer could always use an expert team of different ninjas to go along on secret ninja missions. 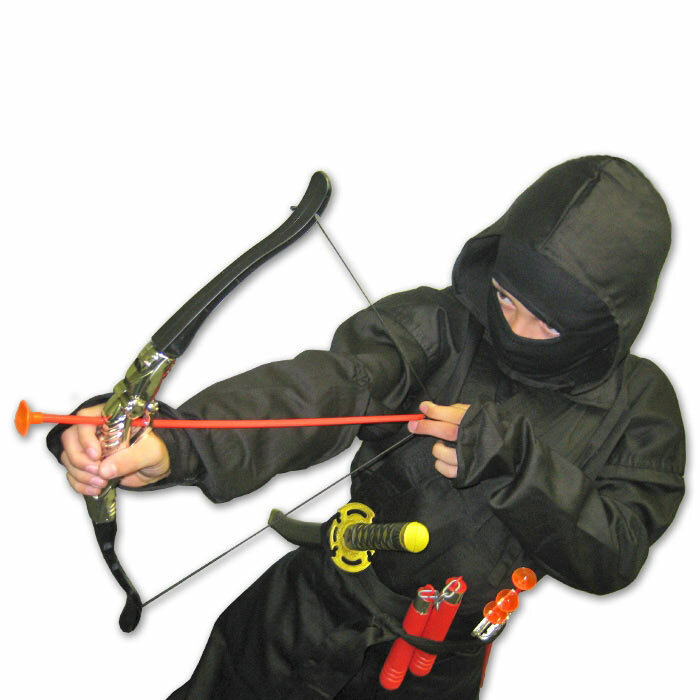 Get yourself a Ninja Archer Costume and show your ninja team what sort of warrior you are. 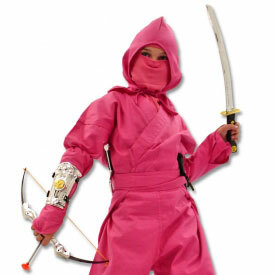 Find your perfect size on our Sizing Chart below and add a Ninja Archer Costume to your order today. You won't regret it! 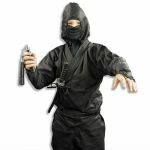 Authentic Black Ninjagi (Not Just a Cheap Costume) - Includes Jacket, Pants, Arm Gauntlets, Mask, and Hood. 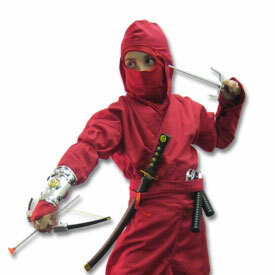 While all of these plastic weapons are safe for children, please make sure children are aware not to shoot the arrows at other children's eyes. 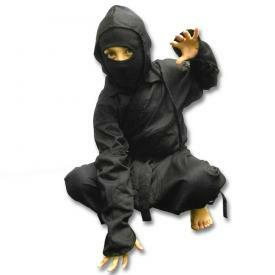 "I ordered this costume Monday night via standard shipping and just received it today (3 days later)...awesome! 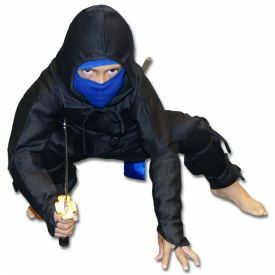 The costume itself is the best quality "costume" I've ever seen. In fact, it should hardly be called a costume at all. Well, I guess the accessory toys it comes with are not "incredible" quality, but they are "costume accessories" after all (and they are better quality than most costume accessories I've received in the past). The uniform itself is what I am really impressed with. 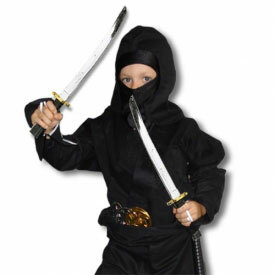 I read in the description that it was a real ninja uniform, but I still kind of expected something thin and cheap...it is not. This is a GREAT costume for the price. "